We specialize in Home Selling Solutions. No matter the situation, we can devise a plan to get your home sold. Contact Us and we’ll tell you how. What if you owe more on your mortgage than your home’s Market Value? You may want to sell – but it seems impossible, because the sales proceeds won’t be enough to pay out your loan. We have solutions. The simple fact that you owe more on your mortgage than the value of your home does not necessarily mean you cannot sell. There are options. Contact US and we’ll advise you. 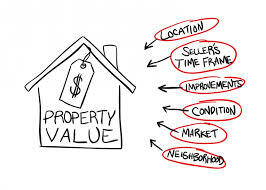 Estimate the value of the home itself. This automated estimate is a good starting point, have us provide you with a Free Value Estimate, which will help you fine tune your value assessment. We’ll give you average prices and rents, detailed analytics accessing market health, pricing history and foreclosure stats. Completing these two steps will help you determine the probability of your home’s value. At times, it can be the Commissions and Fees that prevent your home from selling. We can help with that. Our goal is to use all available resources, strategies and techniques to get your property sold. Regardless of how much we make. Call US with any questions or concerns. How Do You Determine Which Pricing Strategy is Best for Selling Our Home? As I said before, there are lots of opinions but only one set of facts. Together, we will examine the facts of record to determine the most effective pricing strategy to obtain the maximum price possible for you. Similar Homes Recently Sold Tells us what buyers are willing to pay for this kind of home, in this area, at this time. Similar Homes Now For Sale Tells us about our competition. Buyers will compare your home to these homes. Expired Listings Tells us what buyers are not willing to pay for this kind of home, in this area, at this time. 80% of the Marketing of Your Home is Accomplished Using a Pricing Strategy Based on Facts! A ‘Total Market Overview’ will assist us in determining a pricing strategy that leads to a sale. Agents will want to show your home to their buyers since a proper pricing strategy was used. Most Agents have several buyers that are ready-to-buy. They are simply waiting for a new listing that is priced properly. Using the Total Market Overview allows us to position your home to maximize our professional marketing strategies.. 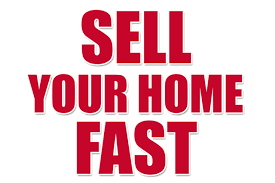 Remember, Our Job Is To Sell Your Home As Fast As Possible And For The MOST Money, Not The Least! 80% OF THE MARKETING OF YOUR HOME IS DONE THE NIGHT WE DECIDE AT WHAT PRICE WE WILL LIST YOUR HOME. 1. Agent to Agent email and direct marketing designed to mobilize the entire real estate community to get them to show and sell your home. 2. We “target market” to determine who the most likely buyer will be–they will pay the most money. 3. Using cutting-edge technology and 24 hr. marketing both online and off, we expose your home to enough potential home buyers and Realtors that it SELLS! 4. We create a website just for your home. We use dozens of hi impact photos, a virtual tour, unique verbiage then link it to hundreds of the most visited home buyer websites and social media locations.